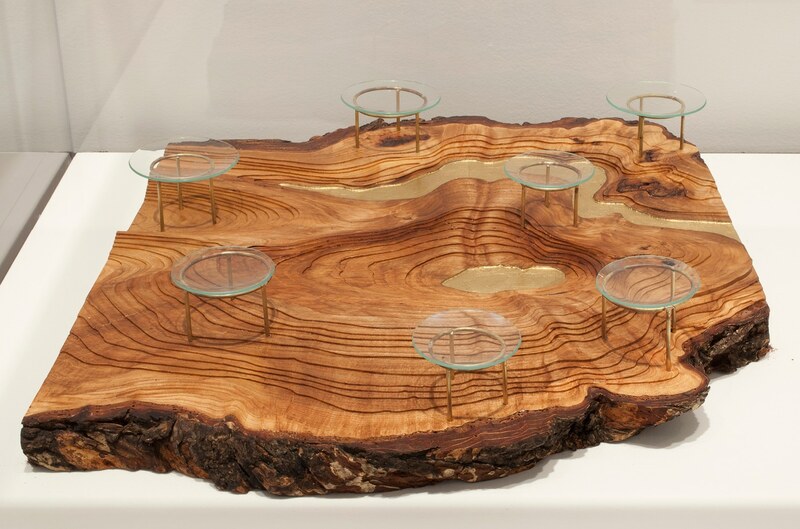 This plate was created for the festival of Tu b'shevat, which inspires us to draw close connections between human beings, trees, and the land. This slice of an elm tree tells a story of natural and human ecologies, of local history inscribed in its growth rings. 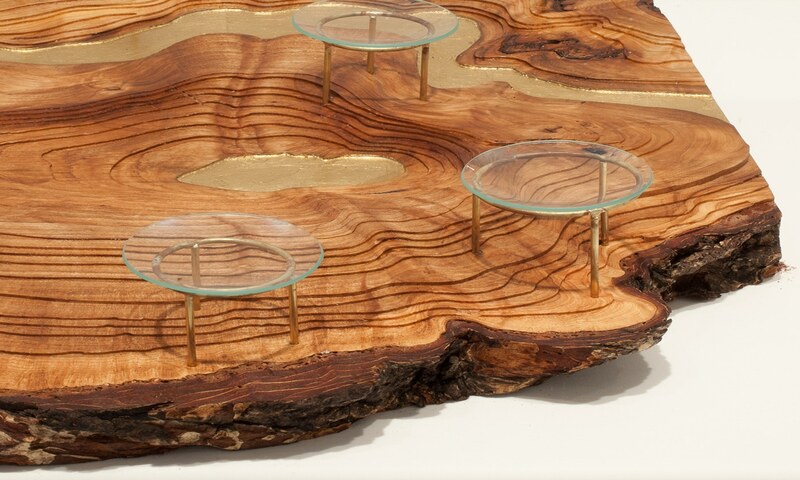 Its cross-sectional grain is sculpted in three dimensions to echo a topographic map, complete with a river of gold leaf. Hovering above the landscape, brass and glass stands can display small portions of the fruits and grains central to this holiday. This can also be used as a Passover seder plate.